Nigeria houses a fascinating body of lakes that are as diverse as they are beautiful, from man-made lakes to crater lakes fringed by leafy forests. Below are top ten most popular lakes in Nigeria. 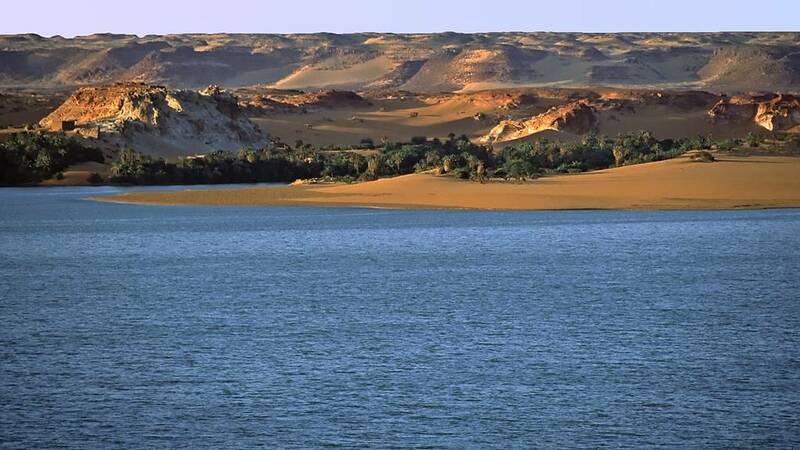 Lake Chad is a freshwater lake located in the Sahelian zone of west-central Africa. The lake is historically ranked as one of the largest lakes in Africa. Lake Chad is mainly in the far west of Chad, bordering on northeastern Nigeria. The Chari River, fed by its tributary the Logone, provides over 90% of the lake’s water, with a small amount coming from the Yobe River in Nigeria/Niger. Oguta Lake is the biggest natural lake in south eastern Nigeria. Located in the town of Oguta in Imo State Nigeria. Oguta Lake has its major source as Njaba River, which is the major inflow to the late. The lake has three other tributaries tributaries namely Awbana, Orashi and Utu. Oguta lake which is about a mile and a half (2.41km) wide and 5 miles (8.05km) long from east to west is a beautiful body of water and a major source of attraction in Imo state. Nike Lake is the most popular lake in Enugu state and one of the most popular in Nigeria, Located in the town of Nike in Enugu East Local Government area of Enugu State. Nike lake was made popular as a result of the Nike Lake resort and hotel built within the lake environment. The Nike Lake resort and hotel serves as an ideal spot for leisure and picnicking. The famous Nike lake resort and hotel which is located within the lake environment offers accommodation, a beautiful edifice comprising of 216 air-conditioned bedrooms and suites of International standard. The hotel has an excellent restaurant, cocktail bar, lounge and business center with the largest conference hall in Enugu. This stunning body of water called Kanji lake is a man-made lake in the town of Old Bussa. Lake Kainji is 136 km long, and open to the public for a private tour, however, visitors are not allowed to fish on the Lake Kainji. Often adorned with flocks of birds and flamingos, the serene alkaline water is complemented by wetlands, grassland and acacia forests. Agulu lake is a popular tourist attraction in the Anambra state with hundreds of crocodiles and turtles. Located along Awka road, Umuowele village in Agulu town, Aniocha Local Government Area of Anambra State, The Agulu Lake has so many mysteries surrounding its existence, mysteries which still hold and believed in till date. This is a salt lake located in the town of Okposi in Ohaozzara local government of Ebonyi state. Aside from being one of the many attractions in Ebonyi state, Okposi salt lake has enormous economic importance as It serves as the economic base for most of the rural women in okposi. Maladumba Lake is located in the Maladumba area, approximately 18 km SW of Misau and 2 km east of Shelon village in the Misau Local Government Area of Bauchi State. The Lake is a natural, shallow 2m depression lake occupied by the River Kuka that drains into the lake and River Kari that partially drains the lake during high water. Located in Obinofia Ndiuno in Ezeagu local Government area of Enugu state. Iheneke is a tropical lake with maximum density during the warmest season. During the rainy season, the lake is said cools and then cools further as harmattan advances. Iheneke is the second most visited lake in Enugu state after the nike lake, and a very lovely place to rest and relaxation. The Ado Awaye lake is located on Iyake Mountains that sprawl around the sleepy town of Ado Awaye. The journey to the lake on the mountain top is not one for the faint hearted. A stair of over 369 steps leads through a bush path before it disappears which leaves you climbing till you get to the mountain top. Iyake Lake is the most prominent attraction on the mountains. It is a diameter shaped lake with green like water. No one knows the depth of the lake although locals say some foreign tourists who attempted to establish its depth lost their lives in the process.